A few weeks ago, a young American first-time author, Kathleen Hale, unleashed a bit of a social media storm by publishing a piece in The Guardian about the increasingly vexed online relationship between authors and bloggers. The article (here) which ran in the Saturday magazine, detailed how she became obsessed by one of her online critics, a blogger called Blythe Harris. When Hale engaged with Blythe's criticism's of her book (despite the many, many warnings she received that authors should not answer back to bad reviews), Blythe and many of her fellow bloggers apparently turned on her and Hale found herself labelled a BBA - a badly behaved author. For Hale (and I should emphasise that we only get Hale's perspective on what happened here), Blythe was wilfully malicious, ruining the reception of her book, and using her clique of friends and fellow bloggers to trash Hale's reputation. 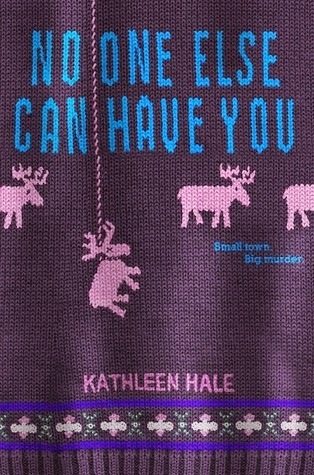 In return, Hale details her own increasing obsession with Blythe - an obsession which rapidly moved from what she termed 'light stalking' (gathering any and every detail she could from Blythe's online presence) to what by any standards is just plain stalking - using subterfuge to gain access to Blythe's real-life identity, workplace address and home address. It's a sorry tale, and I'm not going to rehash the Hale case here, but it did make me think about the business of social media, writers, bloggers and boundaries. Authors, as Hale notes, are encouraged to get online and have a social media presence, but their natural audience, book bloggers and fans, seem quite often to resent authors turning up on their turf and, as they see it, throwing their weight around. 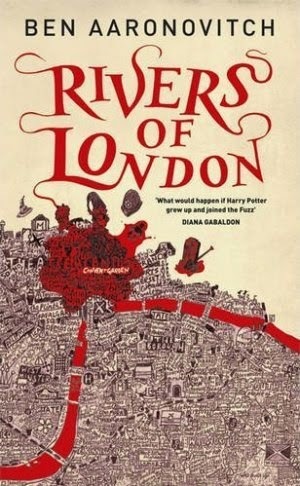 A while ago, as a bit of a newbie author, I brushed up against a similar controversy when I noticed an online discussion on a book blogger's site about one of Ben Aaronovitch's Rivers of London series. I'm a bit of a fan of this series, and was interested to see that the author had stopped by and commented, explaining where some of the features the blogger was discussing had come from in the writing process. It was (I thought) a perfectly polite contribution, and not in the least critical of her analysis, simply adding a bit of background information. But it caused an immediate storm, in which I was very slightly caught up, having added a comment of my own about the strange ways the writing process worked. For some of the following commentators, writers were simply not welcome on a book blogging site - they were guilty of abusing the power they had as authors to dominate a space that was not for them. Book blogs and fan sites should be considered a space for fans and book lovers to freely express themselves and not somewhere authors should feel free to gatecrash. It was all resolved fairly amicably - Ben Aaronovitch backed down with a bit of grumbling, and I apologised profusely for being new to all this and not understanding the rules of the game. But the Hale article did bring this experience back to me. What both examples make clear, I think, is that engaging in discussion with other people on social media is now the easiest thing in the world to do, but that it's also potentially perilous - what seems to be a simple opening gambit in a conversation can quickly become a reason for several people you've never met to decide they hate you. And thinking about why this is, made me realise that it's partly about the lack of social clues we have online. Picture this: an author walks into a cafe, orders a coffee, and then realises that at the table next to him are six women, clearly friends, all discussing why they don't really like his new book. He would have to be completely mad or utterly self-obsessed to lean across and say, "Excuse me, ladies, that point you've just made is very interesting, but as the author, I'd have to say you've misunderstood my intention...." More likely, he'd hide behind a newspaper, or slink out. It's not his place to push into a group which is clearly bounded by longstanding interactions and mutual exchange of opinions. On the web, though, it's hard to see those boundaries, easier to think this is a discussion open to anyone who happens to wander past. Would you interrupt the conversation? As social animals, we have built up over generations the ability to detect the smallest social clues about other people and groups around us. The kinds of interaction we engage in with other people are largely determined by our previous interactions with them, their status as friends or family or work colleagues. Even with total strangers we can use visible clues like dress, body language, expression, context, to judge what is or isn't appropriate. All these help us to 'see' the boundaries that we would be transgressing and the trouble we could be causing if we were to be, for example, inappropriately intimate or aggressive or opinionated. The trouble with social media is these clues are just not there. We've only had access to this multitude of potential conversations with strangers for a very short time, and people appear on it as little more than speech. Speech which is devoid of accents, of voice, of clues about who this person is. It's like wandering in a dark fog, listening to many voices all talking at random - but the people behind the voices are invisible. So we have to make guesses about what kinds of people they are, and whether we are gatecrashing through an invisible boundary, or striking up a conversation with someone genuinely interested in talking to us. Those speaking to each other on a forum, a blog, on Goodreads, can appear as simply a bunch of individuals interested in the same topic, a bunch of reasonable, open individuals who would welcome a newcomer to their midst. Sometimes that is exactly what they are. But sometimes, the invisible boundaries are as fierce as barbed wire, and we cross them at our peril. The way invisible boundaries are so difficult to negotiate sometimes makes me want to give up on all forms of online interaction. Like Liz Kessler, who posted recently about social media on ABBA (here), I have considered just ditching all of it in favour of interactions in real life only. But, in the end, I don't, because so far I've managed to negotiate those boundaries more or less unscathed, and in the process I've 'met' some really brilliant people (some of whom I've gone on to really meet). The fact is, most people on social media ARE open, engaged, reasonable and friendly, and, if you transgress an invisible boundary, they are usually polite enough to just inform you gently that you're in the wrong place. But I do think it's important to be aware that just because those boundaries are invisible, doesn't mean they are not there - and when you find a clear notice that says "Authors (or whoever) are Not Welcome Beyond this Point", it probably pays to respect it. C.J. Busby writes funny, fast-paced fantasy for children aged 7-12. Her latest books, Dragon Amber, is published by Templar. What an interesting and enjoyable post, er, CJ? You've put the rudeness of those who ignore your comment into perspective! I won't feel so bad about t next tie. I have a book blog and authors are most welcome on it, as long as they're polite. There is a comment moderating facility so I can decide what to publish and what not to. I switched it on to avoid spam comments, but it works in other ways too. One particular author I won't name argued about something I'd said in a perfectly polite review. I published her comments, but I won't be reviewing any more of her books, it's too exhausting. On the other hand, sometimes an author drops by and I'm delighted to hear from them and say so. Very interesting post! I think often too, people have a very different online persona to their in-the-flesh presentation. And of course the anonymity of social media can give the idea that it's OK to be rude if nobody knows who you are. Also, some people, authors included, seem to quite like stirring up controversy, especially on Twitter. Good luck to them - but it's not for me. This is exactly why I try to list strengths and weaknesses of books on my review blog. The authors who have commented have been very nice, but maybe because I have tried to be constructive. I think POLITE interactions are welcome on both sides of the process! Your point about not interrupting a group of close friends chatting is definitely one to bear in mind, Celia, and quite comforting for those times when attempts at conversation feel rejected. As for the reading of email voices! I know I use "it's a joke" smileys a lot - even though some people despise them - rather than risk someone not knowing when I'm joking. Isn't there also the literary idea/school of criticism that believes that once a text is out in public, it belongs to the public as much or more than to the author? That may account for some of the "Back off, author!" attitude. Plus there's nothing like a controversy to aid group bonding, is there? Real world or on-line. Yes, all these recent discussions made me think of The Death of the Author stuff I learned at uni! There's definitely a school of thought arguing that the author's life, history and experiences should have no bearing on interpretations of a book. It was Roland Barthes in the 60s or 70s, I think, wasn't it? I agree with the Death of the Author, but at the same time I do find it interesting learning about what influenced authors of books I like. I guess it's why we get asked "Where do you get your ideas from" so often – people like to know! – but, to me, it doesn't mean that an author's life experiences offers the definitive interpretation of a book. I think the problem is that although the author is supposed to be dead as far as criticism of our work is concerned, we all got resurrected by Twitter: the curse of the Zombie Author! I think it's important to remember that everyone has a right to an opinion, but that it's also important to remain subjective. When I review, I try to bear in mind that just because I interpret a book in one way, it doesn't mean others will agree, and it certainly doesn't mean I know what the author intended. Sometimes my interpretation of a book might say more about me as a reviewer than it does about the author and perhaps even the book itself. I actually wish there was a way authors and critics could have friendly discussions and civil disagreements about books – it could be really interesting! Thanks all for your kind comments. I think there IS a place where authors and critics can have friendly discussions - it's called down the pub - aka the bar at festival events... ;-) But of course it does happen too on forums and twitter. I guess we just have to be wary of assuming it's OK to barge in on conversations. And never, never reply to a negative review!